When you think of a Palm Springs Lifestyle.. what comes to mind? I instantly think of Frank Sinatra, lounging by the pool at his Twin Palms Estate, singing "I’ve got the world on a string" longingly to Ava Gardner. Or a 50′s beauty.. relaxing, drifting to and fro on the patio, with a cocktail between her jeweled fingers. 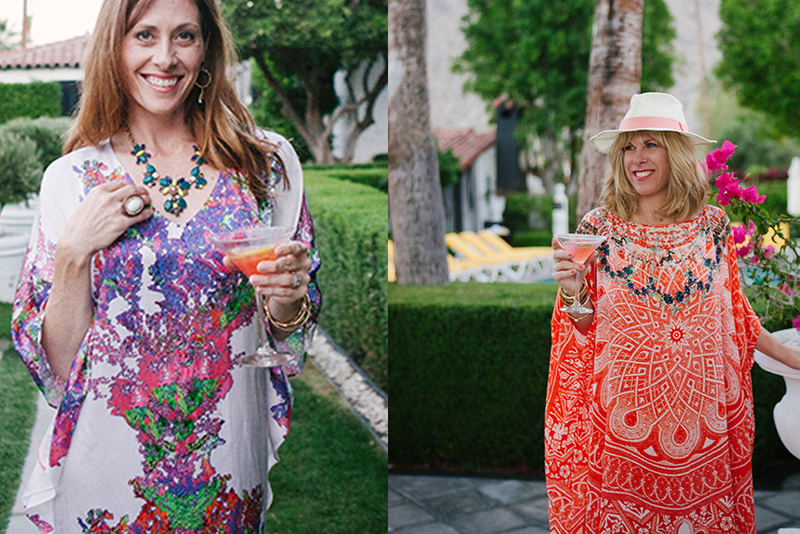 When the temperatures start to soar in Palm Springs, what better way to carry that relaxed "cool-off" vibe than to mingle with a caftan on.. and a cocktail in hand? 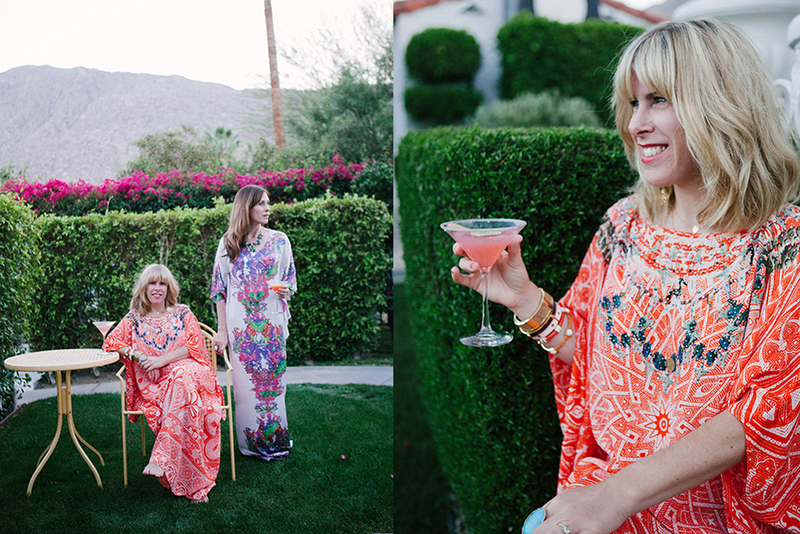 The inspiration behind the Caftan and Cocktails shoot came from the vintage vibe that is a constant in Palm Springs. The city is full of mid-century homes mixed with modern, vintage shops. The city thrives on a mixture of new farm to table cuisine, beautiful architecture (old and new) and all that makes up the cool, laid-back and relaxed vibe that is "Palm Springs". The desert also has the most beautiful sunsets, which played a part in the colors of the caftans against the backdrop of nature. Bright oranges and purples, taken from nature, were infused in the shoot with the cocktails and attire. Lounging by the pool is also a Palm Springs "lifestyle" essential.. which was why we choose such a fun location (The Viceroy Hotel) showcasing the laid back, vintage vibe. 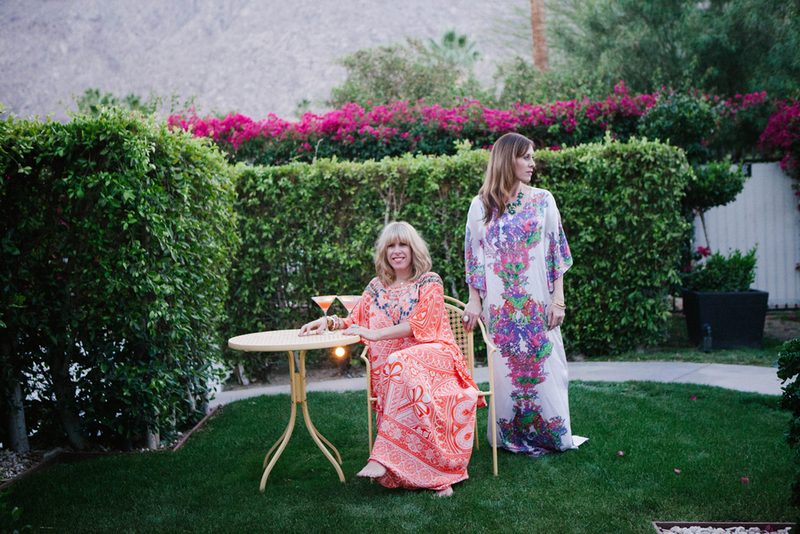 It was playful, colorful, and relaxed, which is exactly how Palm Springs should be! A California native. Self-proclaimed closet style junkie, cuisine exploring, travelista. Conni has always had a secret passion to do more, see more, learn more. Her hunger has grown into cooking (although she didn’t realize how fulfilling it could be to bake chocolate-chip, banana bread! ), decorating and helping people learn all about the world of style. She loves a warm cup of coffee in the morning, a glass of bubbly at night (or anytime for that matter), making new friends, a great book, & her next vacation (always in the works!). She may have an addiction to Doritos and is quite obsessed with anything related to dachshunds. Photography submitted by Ashley Williams for Established California.